Per l'ultimo saluto a Kevin Ayers l'anno scorso a Deià (Spagna) si raccolse attorno alle figlie Rachel e Galen una piccola folla di amici, vicini e conoscenti, per una cerimonia amichevole e lieve allietata da musica, luci, racconti e ricordi. 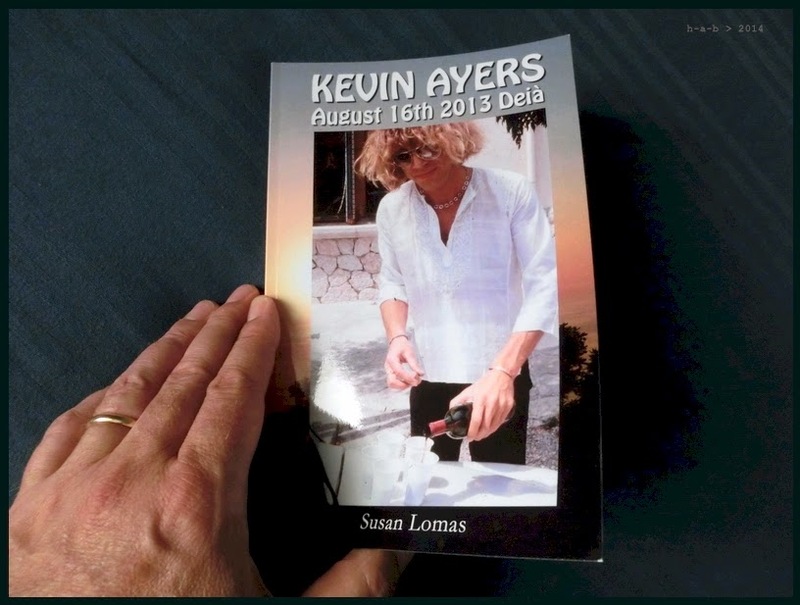 Tra i presenti c'era anche Susan Lomas, che ha fissato con parole e immagini la cronaca di quel giorno: Kevin Ayers, August 16th 2013, Deià. How can I sum up Kevin Ayers? A career spanning forty-five years, the first Soft Machine album, fifteen solo studio albums, sessions for the BBC, several official live albums and of course many more bootleg recordings. Dozens of singles releases and compilation albums with previously unreleased tracks as extras. If one counts ten songs on each solo album, even allowing for Kevin’s habit of re-working tunes, that’s way more than one hundred original songs in his repertoire. A charismatic live performer with a distinctive voice, which matured beautifully, like a fine red wine. Recording contracts with Harvest, Island and Virgin, to name a few companies. If you simply took the lyrics of Kevin’s songs and published them as a book of poetry it would be an outstanding achievement, full of emotion, wit and wisdom. The fact that these ideas became songs and arrangements which inspired outstanding performances from his musical collaborators needs to be celebrated.